Speakers at a seminar said that the disease epilepsy is curable through providing proper treatment to the patients. However, the symptoms of epilepsy among the adults may be visible as impact of other disease, they said. 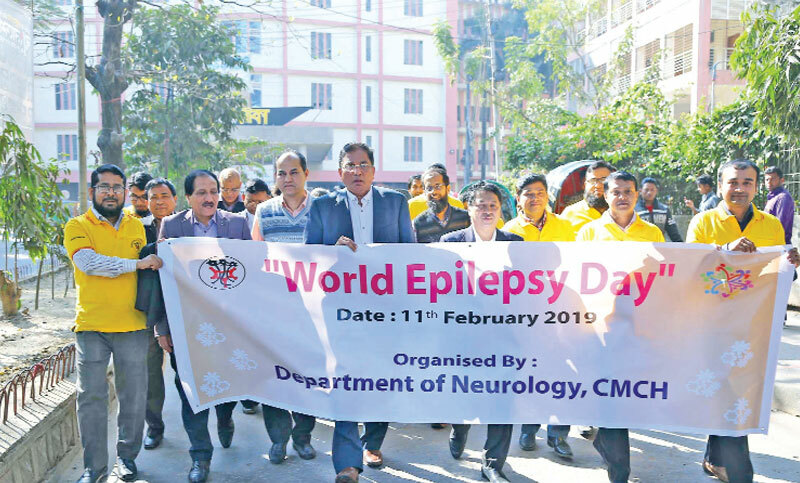 They were addressing at a seminar organised by Neurology Department of Chittagong Medical College (CMC) marking the ‘International Epilepsy Day’ at the CMC Conference Room on Monday. Bangladesh Medical Association (BMA) Chattogram President Professor Dr Mujibul Hoque Khan was the chief guest at the seminar while Neurosurgery department Head Dr SM Noman Khaled Chowdhury, Neurology Department Head and Associate Professor Dr Md Md Hasanuzzaman, CMC Hospital Medicine Department Head Professor Dr Ashoke Kumar Dutta and CMC Principal Professor Dr Selim Mohammad Jahangir addressed it among others. The speakers said there are many superstitions in the society regarding the epilepsy. The disease can be diagnosed through the disease history and video of convulsion without costly tests, they said. Some 90 per cent patients stay fine only taking medicines while 60 to 70 per cent can be recovered permanently through taking medicine for some two to five years, observed the physicians. The convulsion also may occur for some neurosurgical diseases like brain tumour and injuries. But, those are curable through proper treatment, they said. They also urged the physicians concerned to consider price, effectiveness and reaction during prescribing medicine. They suggested for avoiding the non-scientific traditional treatments and admitting the patients to nearby health complexes or hospitals immediately. Oncology department Associate Professor Dr Tapas Mitra conducted the seminar coordinated by Dr Shemanta Waddadar of Neurology department.